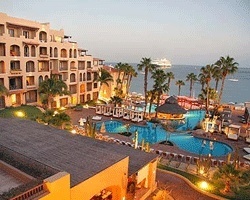 Prominently set on Medano Beach, *ME by Melia Cabo* is a beach-lover's Eden! This adult-oriented resort sports beautifully-appointed rooms and suites with stunning views of Cabo San Lucas Bay and the world-famous Land's End. Enjoy its many amenities, including lagoon-style swimming pools, lighted tennis courts, award-winning world-fusion cuisine restaurants, the internationally acclaimed Nikki Beach Club, and the exciting Passion Club, delightful swim-up bar. 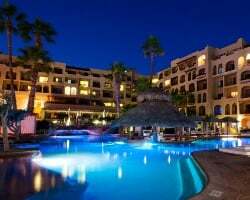 The resort is just short walk from the Marina and the town of Cabo San Lucas, offering easy access local eateries and shopping. Through the resort you may book exciting excursions to the most beautiful spots in Los Cabos. 2 floating weeks per year! RTU has 13 years left! Price Just Reduced! Master Room- Platinum! Buyer May Receive A Title Fee Credit, Inquire For Details!